The city has agreed to pay $1.1 million in legal costs to the family of slain rapper Notorious B.I.G. because of police errors during a wrongful death case brought against the city and the LAPD. U.S. District Judge Florence-Marie Cooper had sanctioned the city after learning that a police detective withheld documents that were pertinent to claims made by the rapper's family. She declared a mistrial in July. The payment represents the cost of legal fees and other expenses incurred by the family's attorneys. City lawyers told the council an appeal was unlikely to overturn the judge's ruling. The council approved the payment Wednesday. "It's unfortunate, but we don't have any choice," Councilman Dennis Zine said after the 11-0 vote. "We had a case here where an experienced detective made a mistake and the city and its taxpayers have to pay for it." 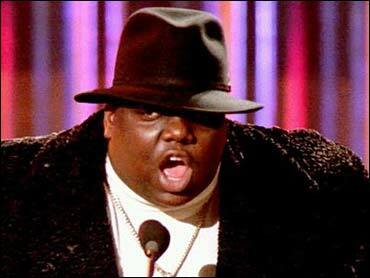 Christopher Wallace, or Notorious B.I.G., was shot and killed March 9, 1997, after a party at the Petersen Automotive Museum in Los Angeles. The murder has not been solved. A retrial of the wrongful death case is expected later this year. His family's lawsuit against the city and LAPD claimed a corrupt LAPD officer arranged to have Wallace killed at the behest of Death Row Records founder Marion "Suge" Knight, and that LAPD officials covered up Mack's involvement. Knight has denied involvement.